Paddington is proof, if it were needed, that in a world where filmmakers constantly seem to think they need to make their family films cool and hip, there’s no need to reinvent the wheel if you’re going to do it right. I have to admit I was dubious about this take on Michael Bond’s classic children’s character, as after seeing the first image of the bear’s new live-action/CGI incarnation, he just didn’t look quite right to me. However after only a couple of minutes of the movie starting, I have to admit I was rather enchanted. Paddington is a young bear living in Darkest Peru with his aunt and uncle. They are well educated animals thanks to a visit many years before from a British explorer. He told them that if they ever needed to, they would find a warm welcome in London. 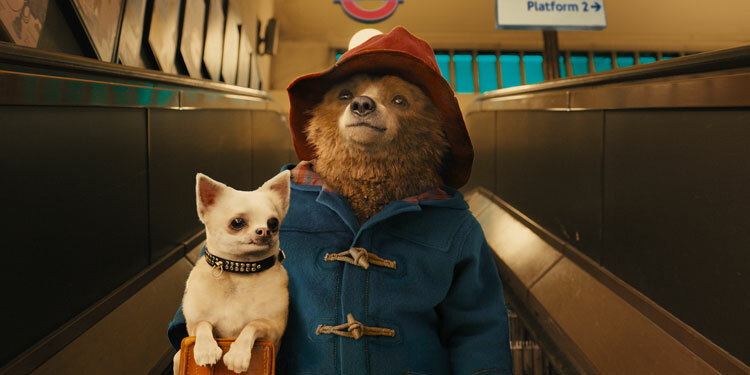 After a disaster in the jungle, Paddington is sent off to Britain, with his aunt certain that from the stories she’s been told, when he arrives he’ll be immediately helped and will quickly find a home. Of course things don’t turn out to be that simple, but finally he meets the Brown family who agree to give him a room for the night before taking him to ‘the authorities’. 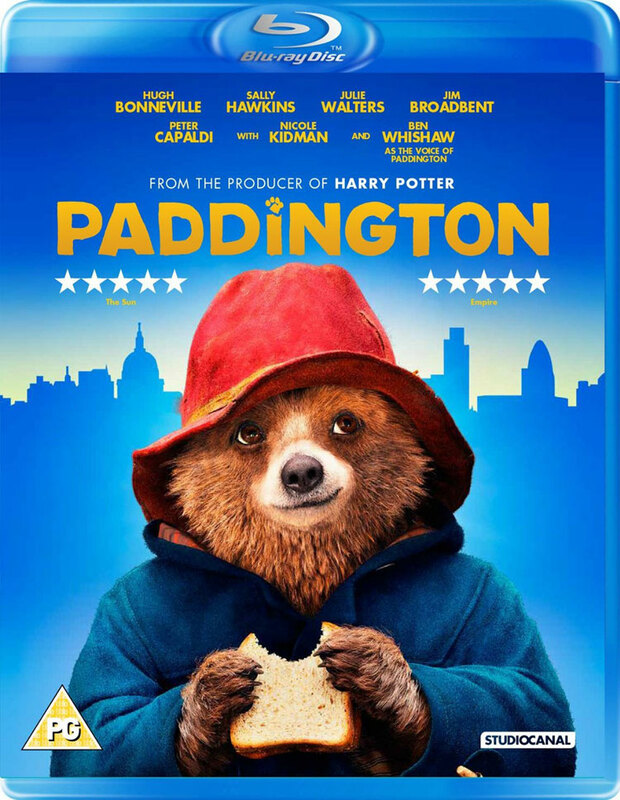 While Mr. Brown (Hugh Bonneville) is suspicious of the family’s new interloper, Mrs. Brown (Sally Hawkins) is enchanted, and ensures that despite his slightly clumsy way of trying to integrate into human society, Paddington’s stay is longer than one night. She decides to help him find the explorer who stayed with Paddington’s relatives many years before, something which proves more difficult than they expected, especially when an evil taxidermist (Nicole Kidman) learns of this rare bear’s arrival. Paddington is a movie that doesn’t try to be hip and clever, such as getting Paddington to join Myspace or feed a Tamagotchi (or whatever other out of date things filmmakers think kids are into these days). Instead it sets itself in a slightly Mary Poppins style London – a place that’s a little outside time and where, when very unusual things happens, no one treats it as particularly peculiar – and concentrates on understanding what it is that people love about the classic character and then bringing that to the screen. It was also an extremely smart move swapping Colin Firth for Ben Whishaw as the voice of the titular bear, something that happened only a few months before the film was released. Firth is a very fine actor, but Whishaw brings an intense sweetness and innocence to the character, so that even when the bear is busy destroying the Brown’s house with a flood, he seems utterly blameless. The rest of the cast also jump into their roles with relish, obviously enjoying this trip into a world that’s a tiny bit silly, but has huge amounts of charm. There are plenty of laughs too, with the movie carefully balancing things so that the jokes will work as well for kids as they do for adults, and then wraps it all in a warm, cuddly feeling that concentrates on entertainment, charm and sweetness rather than spectacle for its own sake. As a result it manages to be a real treat. It is peculiar though that writer and director Paul King’s previous credits have largely revolved around The Mighty Boosh, as well as the film Bunny & The Bull. On their surface they are about as far from Paddington as you can get, although with its style of slightly surreal humour they have more in common than you might think. The Blu-ray successfully shows off what a great piece of CGI Paddington is. I may still not feel he looks right (which is more the fault of the illustrations I grew up with than anything else), but it still works extremely well, allowing him to genuinely look like a bear, while being human enough to be believable talking and wandering around London. The picture is crisp and the colours are as bright as you’d hope. The special features aren’t extensive, but the featurettes are all worth a watch, looking at things such as how they took the bear from the page to the screen, and created a live-action world for him to live in. Overall Verdict: Paddington makes to trip to live-action with great success. 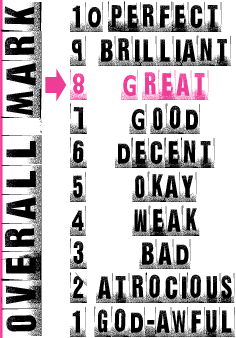 It’s a movie with enough wit, charm and excitement to melt the heart of all but the most cynical of viewers.